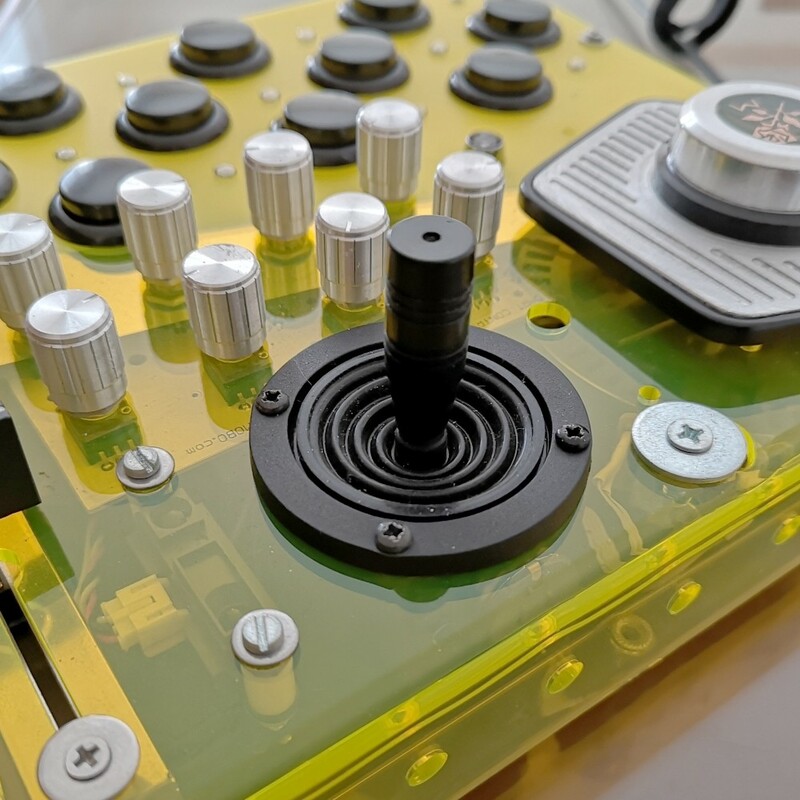 In this case the two potentiometers that make up the analog joystick are treated like normal rotary potentiometers. 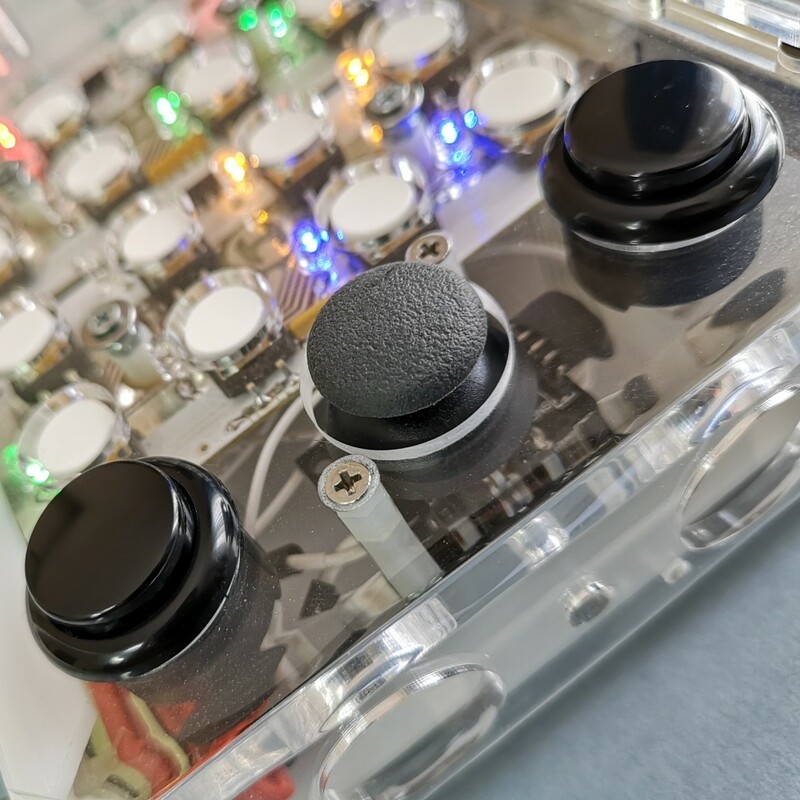 a joystick is very convenient to use as a pitchbend wheel, or to emulate the classic XY control of a vintage synthesizer. 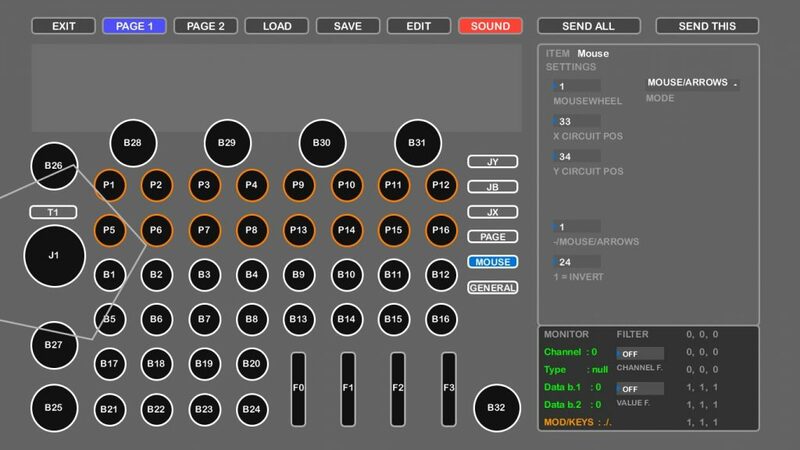 In many cases it may be convenient to have a mouse emulation directly accessible from the panel of a MIDI controller. For a DJ, it may be useful to use the mouse emulator to have a quick access to the browser. 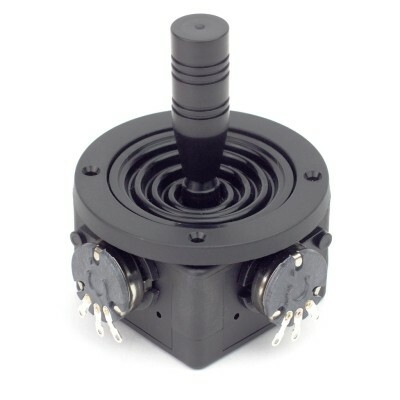 The emulation of the mousewheel concerns the use of the encoders, therefore of the top spinner and of the side spinner, but the setting of the emulation is contained in the MOUSE ITEM. Now we will use the DART_EDITOR to set up the mouse emulation. In the following example we opened the DART_KOROVA preset, and we selected the ITEM related to the settings of the MOUSE/ARROWS emulation. only a single ITEM can be set in MOUSE/ARROWS MODE, inside a preset. 0 = Not active. X and Y axes are processed like normal potentiometers. 1 = Mouse emulation active. 2 = Arrow keys emulation active. INVERT – to invert the mouse/arrows direction. 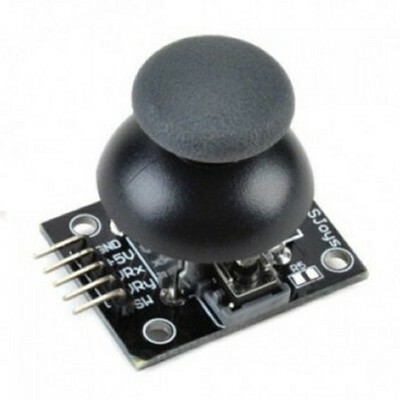 1 = Mousewheel emulation active and controlled by the Top_Spinner. 2 = Mousewheel emulation active and controlled by the Side_Spinner. An analog joytick consists of two potentiometers, which are used simultaneously acting on the lever. 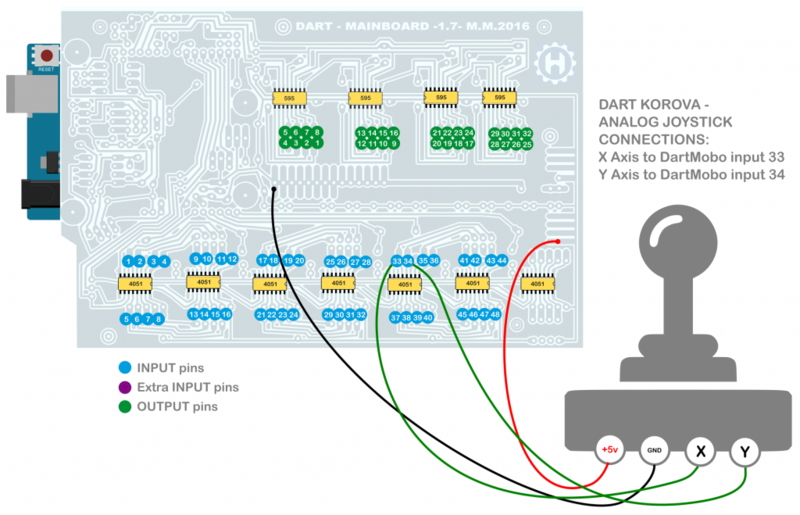 here we have to specify to which input, on the DART_mobo circuit, the two joystick knobs have been connected.